Osteopathy is a safe and natural system of primary healthcare that focuses on the musculoskeletal system, in order to improve the structure and function of the body. Osteopathy is used to facilitate the bodies natural capacity to heal by influencing, the blood vessels, nerves, lymphatic system and internal organs via the musculoskeletal system which is the supportive framework of the body. Babies, children & adults alike, can benefit from osteopathic treatment, as the main stresses placed upon our bodies occur consistently throughout our daily lives due to our posture, lifestyle stress and activities. Osteopathic treatment is highly effective for both chronic and acute pain but the main aim is to identify the root cause of a patients' problem, in order to prevent dysfunction occuring and maximise a patient's potential to heal. Here at Taylor & Conroy Osteopathic and Sports Injury clinic, an osteopathic consultation involves taking a detailed case history, including information about recent symptoms, past injuries, medical history and lifestyle. A biomechanical assessment is then carried out, along with orthopaedic and neurological tests, if necessary. Treatment may include a variety of techniques, including soft tissue massage, functional, lymphatic drainage, muscle energy techniques, joint manipulation, cranial osteopathy, dry needling & body adjustments. 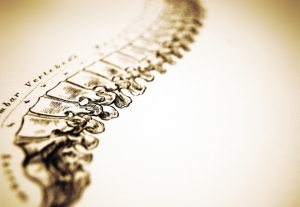 Do I need a GP referral to attend an Osteopath? A GP referral is not essential in order to attend a registered Osteopath. Here at Taylor & Conroy Osteopathic and Sports Injury clinic, the osteopaths are registered with the governing professional bodies' in Ireland and the UK, have previously undergone 4-5 yr bachelor of Science degrees and are highly skilled primary healthcare professionals. They have also undertaken several postgraduate courses and training, in order to develop new skills and continue their professional development. Osteopathy is a Primary healthcare therapy that is a patient centred, it is complementary to traditional medicine. Should a patient attending treatment have symptoms that require further investigations (blood tests, MRI scans, X-rays etc) referrals can be arranged. Can I claim money back? Patients can claim a percentage of the fee back from most private healthcare providers.